Comments: Low and spreading when young with nice blue foliage. May develop a leader with age which should be pruned out. 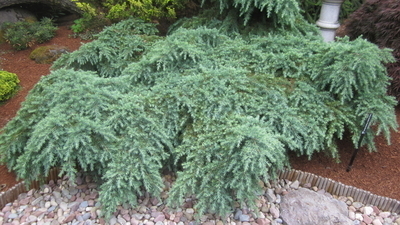 Great accent used as a stand-alone plant or cascading over a wall. Found at Oregon's Iseli Nursery in 1979.